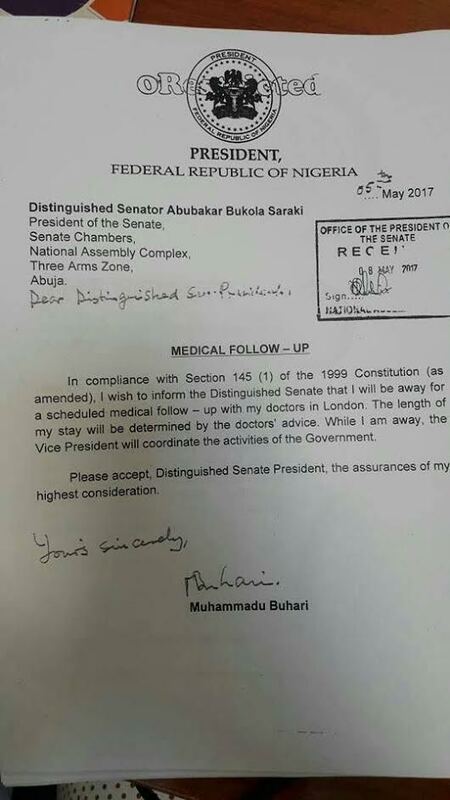 The first two on top were previous letters and the one below is the latest one that got people talking..
As the choice of words in President Buhari's recent letter to the National Assembly, informing them of his medical leave to the UK continues to generate controversy, some Nigerians have dug out his past letters to the NASS members where he stated that Vice President Yemi Osinbajo would perform the functions of his office. 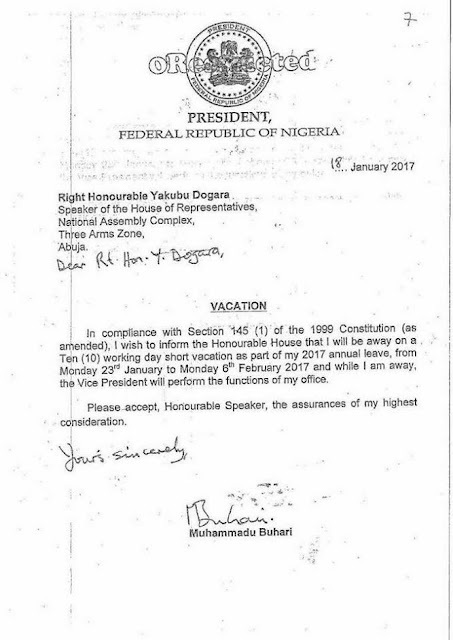 "While I am away, the Vice President will perform the functions of my office" President Buhari stated in his letter to the senate on January 18th. Even when he asked for an extension, President Buhari stated clearly that Osinbajo will continue to act on his behalf. 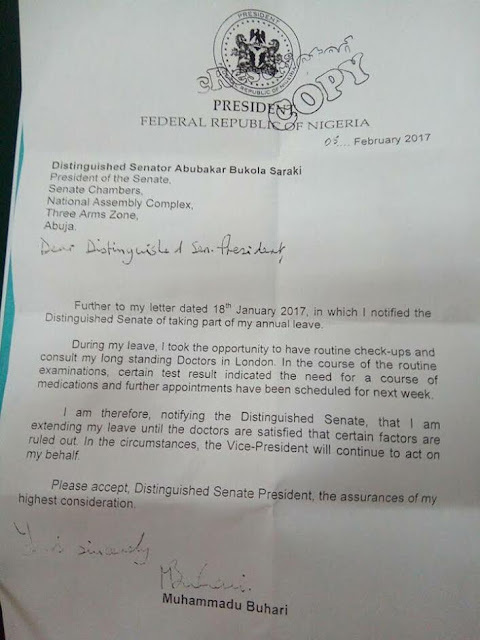 In his recent letter to the senate which was read yesterday, President Buhari said Osinbajo would "coordinate the activities of government", causing an uproar.